Iceross Comfort is designed with Össur's patented stabilizingmatrix, a size-specific distal attachment and a nylon fabric cover.Iceross Comfort is an exceptional liner for residual limbs withbony prominences prone to pressure peaks. Iceross Comfort Locking Liner is available with Wave (3mm profile and 10cm matrix). Wave option includes Silken Inner Surface. 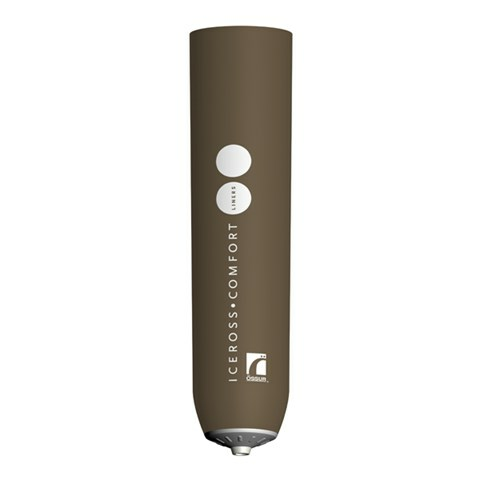 Össur recommends that Iceross Comfort Liner is used inconjunction with the Icelock® 600 Series. The locking feature offers users firm, secure and comfortable suspension. Can be used with either locking or lanyard systems.